Last week I shared the Linen Stitch Manghan pattern with you. 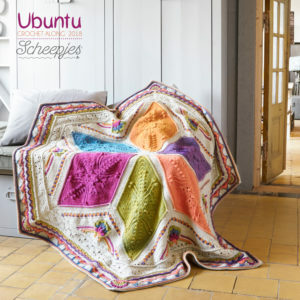 It was made using two-colour linen stitch squares, the instructions for which were specifically adapted to eliminate all but 4 tails of yarn. 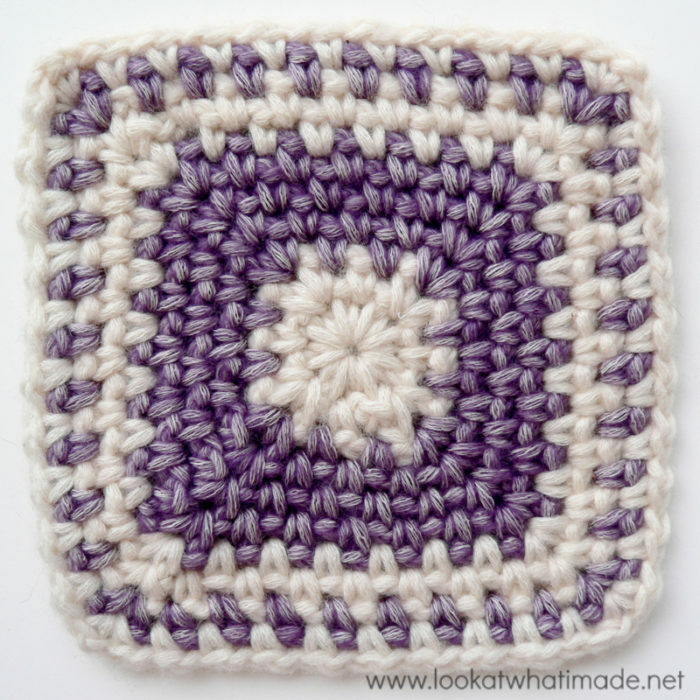 This week I am going to share the pattern for the regular linen stitch square with you. 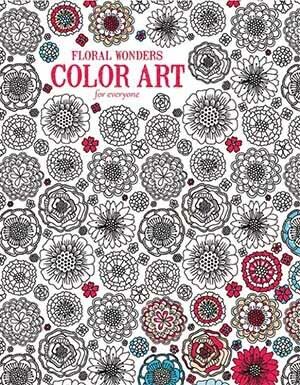 Yes, I am aware of the fact that I have still used only 2 colours per square, but with these instructions you can change colours as little or as often as you like, using as many colours as your heart desires! 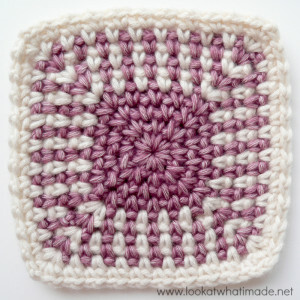 Each round is a repeat of the previous round, but with one more linen stitch between corners. 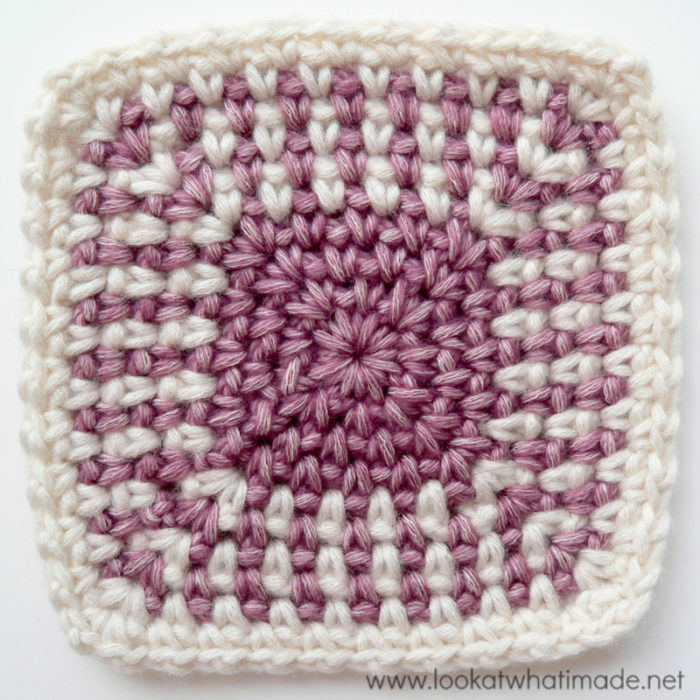 The instructions below are for a 15 cm (5″) square, but you can continue to add rounds to create a giant linen stitch square, making this pattern perfect for a continuous stash-busting blanket. If you are interested in making a bigger linen stitch square, see ‘Related Patterns’ at the bottom of this post. 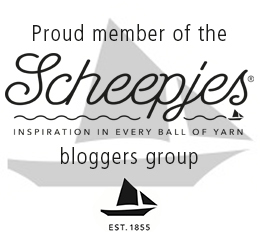 9 Linen Stitches and 14 rows per 10 cm (4″) square. This is how you will make the first corner of each round. If you are going to use the same colour, sl st into the next ch-1 space. Ch 1. (Sc, ch 1) twice into the same ch-1 corner space. This is your first corner made. 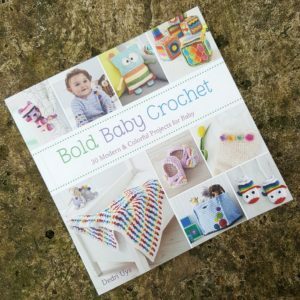 If you are going to use a new colour, join your yarn by making a standing single crochet in any ch-1 corner space around. (Ch 1, sc, ch 1) into the same ch-1 corner space This is your first corner made. This is how you will make the rest of the corners for each round. (Sc, ch 1) twice into the ch-1 corner space. 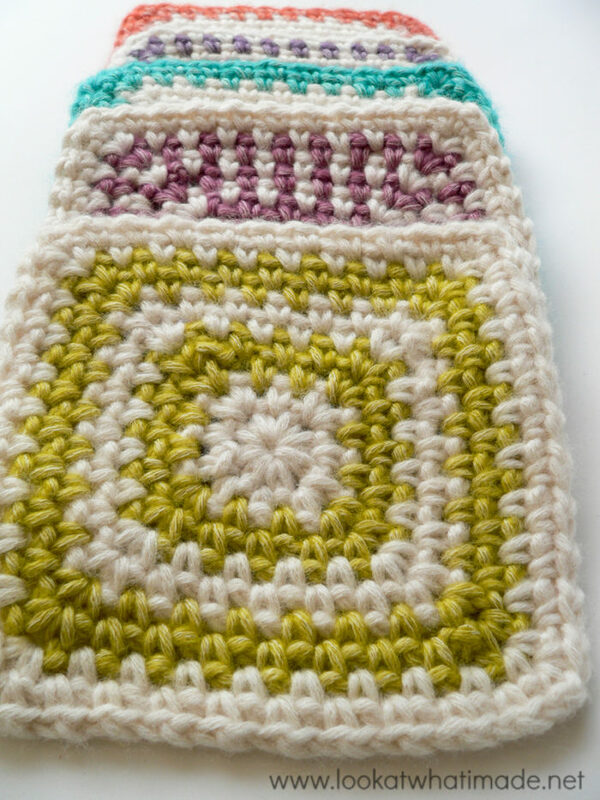 Use a piece of scrap yarn or a stitch marker to mark the corner ch-1 spaces of your last round if you are going to have trouble identifying them later on. 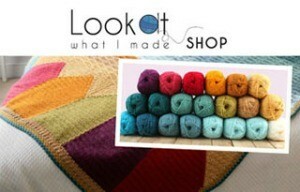 Linen stitches are made by making a (sc, ch 1) into the ch-1 spaces from the previous round. 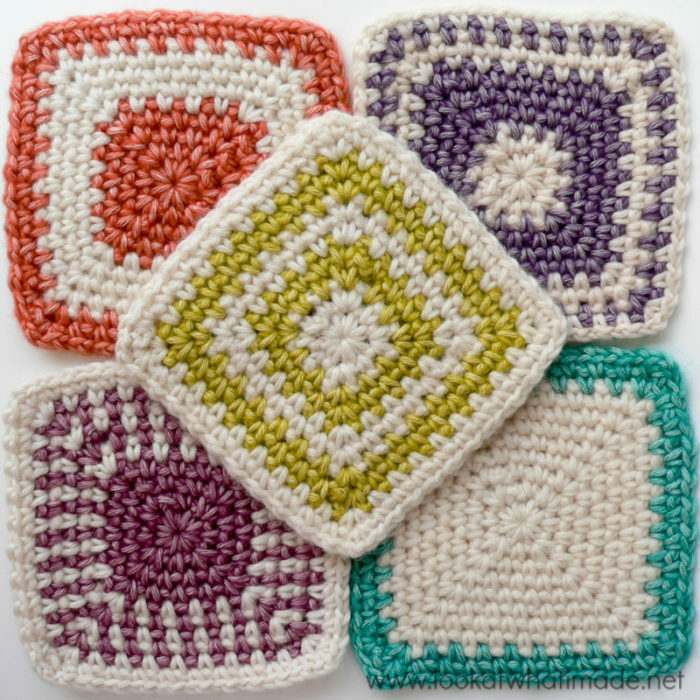 You will always work into the ch-1 spaces from the previous round, never into the single crochets. If you have trouble identifying the ch-1 space, see THIS TUTORIAL. As you can see, the only thing that changes in each round is the number of (sc, ch 1) repeats between corners. By continuing this pattern, you can keep going and make as many rounds as you wish. 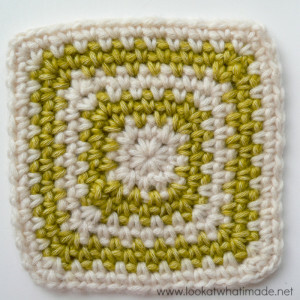 The bigger your square gets, the more your central square will twist. If this bothers you, you can always turn at the end of each round instead of always working with the right side facing you. When you get to the last ch-1 space before the sl st join from the previous round, you will notice that the ch-1 space is ‘filled’ by the top of the first sc from the previous round. To eliminate that ‘fullness’, and to make the corner look as much like the other corners as possible, don’t just insert your hook into the ch-1 space. Insert it into the top of that first sc and make your next (sc, ch1) into it, encompassing the ch-1 space. 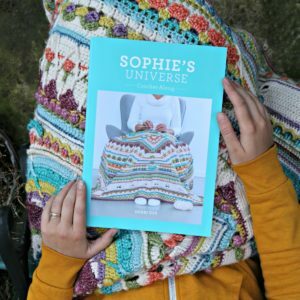 The look of your final square will depend as much on your colour choices as on the number of rounds you choose to use each colour for. 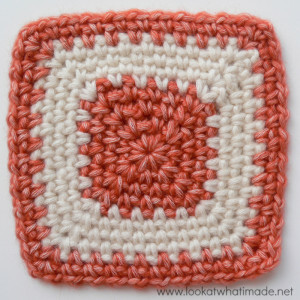 I have made 5 sample squares so that you can see what it looks like if you change colours in different rounds. Is there a video tutorial on how to start this? I’m having a really hard time. Thanks! Hi Janine. No video, I’m afraid. What are you finding hard? Maybe I can talk you through it? 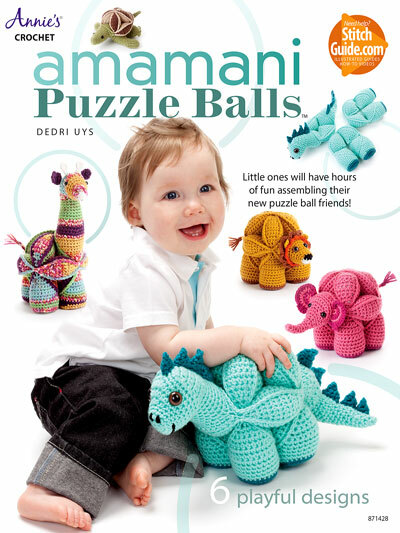 Love the pattern and am anxious to crochet it. Are the instructions in UK or US terminology? 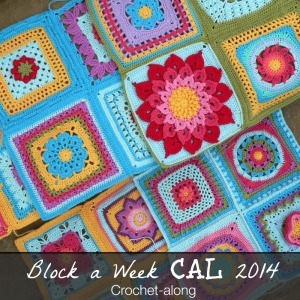 Could this be sized down to make a 4 inch square? and done in solid colors? Would I just not do as many rounds? 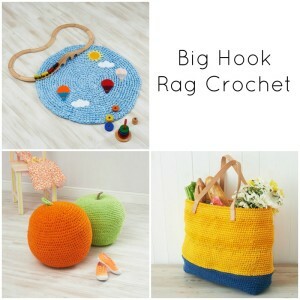 Yes it can :) You can use thinner yarn and a smaller hook, or make less rounds. It can def be done in a single colour too. 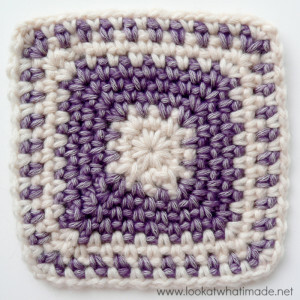 Could this be done in cotton to make a coaster/potholder? 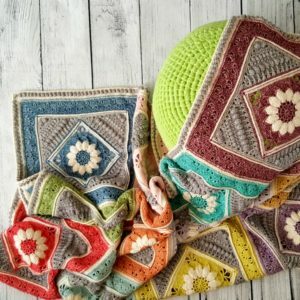 (New to crochet) Beautiful pattern! 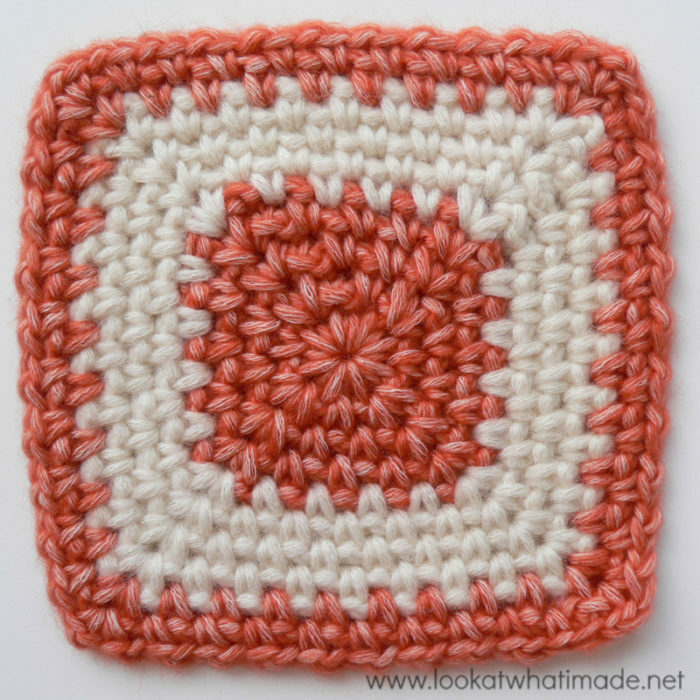 The linen Stitch square is my new obsession. Thank you for the excellent instructions. 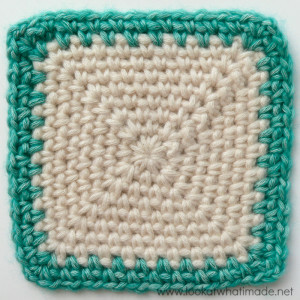 Would love to see a video tutorial on how to make a linen stitch square. 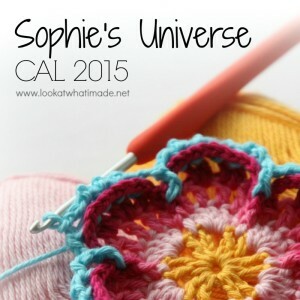 Makes it easy to learn a new stitch a you work along with the video.